I'm J. M., 24 from Finland. I found working out to be my thing about a year ago and been following different training programs ever since. Previously I've been playing ice hockey for 7 years, football for 2 years and practiced Thai boxing for 2 years also. Therefore my physique and condition are quite fine, but I've never been too muscular before. Currently I'm studying law and working out regularly three times a week and been trying to get more muscle, in which I've quite succeeded. I have no medical issues, and I sleep regularly 8 hours per night. 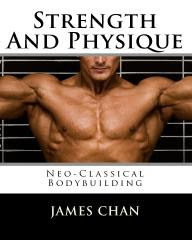 Now I read your article about strength training and fat loss at Bodybuilding.com. I found it highly informative and interesting and decided to give it a try. What kind of diet would you suggest if I plan to follow The Modern Strength Training/Fat Loss Program, since there was no mention about that in the article? I've been working out with Arnold's Golden Six for almost three months now and gained a lot of muscle as well as some fat of course. 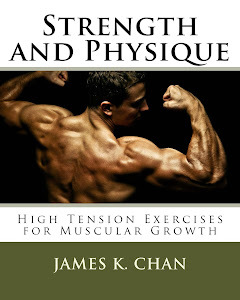 Now I'd like to follow the program and retain my muscles while losing fat from my body. All I need is some guidelines for what kind of diet I should follow. And also, should I do something else during the week, besides the program in question three times? Currently I weigh 191 lbs, and I'm 6 ft 1 in. Looking forward to your reply. My Answer: As far as diet, you should follow a low carb diet. A simple rule to follow is choose green carbs, avoid white carbs. Green carbs are vegetables: spinach, broccoli, bok choi, seaweed, asparagus, green tea, etc. White carbs are alcohol, sugar, bread, pastas, rice, potatoes, etc. With regards to calories, you should follow a low calorie ZigZag diet. 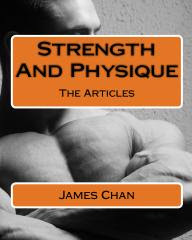 In Strength and Physique: The Articles I go over diet and discuss the the ZigZag Diet for gaining weight. With that diet you follow a high calorie diet for 5 days and do 2 days of low calorie. There is a low calorie version of the Zig Zag Diet designed for fat loss. With the fat loss version, the parameters are inverted: low calorie for 5 days, 2 cheat days. So Monday through Friday you stick a to strict diet of low carb, low calories. Then on the weekends you eat what you want (within reason of course).